Is this another case of fake news or is the incoming left-wing populist government simply trying to play hardball with Señor Trump? Hours after the Washington Post reported that a supposed deal had been met to keep the Central American migrant caravan in Mexico as the United States sorts through asylum applications, Mexico's incoming foreign minister denied that any agreement had been reached and that conversations are still continuing. According to the BBC, "Marcelo Ebrard denied reaching an agreement which would see asylum seekers waiting in Mexico while their claims were processed in US courts." Likewise, the man who will serve in president-elect Andres Manuel Lopez Obrador's administration "said the US had yet to even send "a specific proposal" on how to deal with the issue." ABC News reports that Interior Minister Olga Sanchez Cordero also released a statement saying, "There is no agreement of any sort between the incoming Mexican government and the U.S. government." "The next federal administration does not consider in its plans that Mexico assumes the status of 'third safe country' for the attention of Central American migrants or citizens of other countries that are in Mexican territory, nor for those who have that intention in the future," Cordero added. 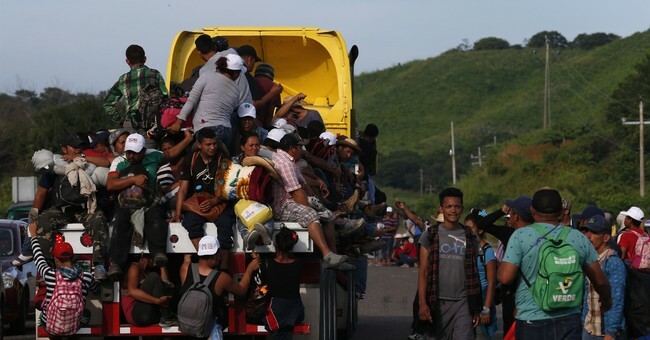 As for the White House, President Trump doubled down via Twitter Saturday night that any migrant who seeks asylum in the United States will have to go through the legal manner and "will not be allowed into the United States until their claims are individually approved in court." "President Trump has developed a strong relationship with the incoming Obrador Administration, and we look forward to working with them on a wide range of issues," White House Deputy Press Secretary Hogan Gidley told media.